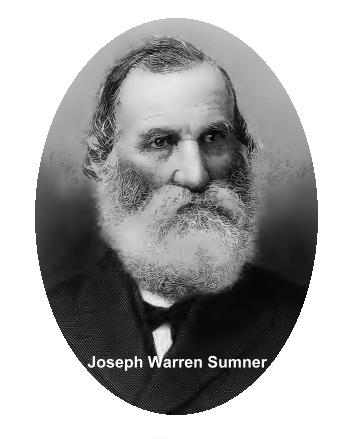 1874 | Sumner, Kern City & East Bakersfield - PAST, PRESENT & FUTURE! With the advent of the Central Pacific Railroad (CPRR) merging into the Southern Pacific Railroad in 1870, the stage is set for the expansion into the southern San Joaquin Valley. By November 8, 1874, Southern Pacific tracks reach Bakersfield, California. After a land dispute, Southern Pacific builds a station in the town of Sumner (Kern City, East Bakersfield, Old Town Kern). The town is named after Judge Sumner, a famous Kern River Valley resident, justice of the peace and miner originally from Kernville.